Oceanfront 2BR, 1BA condo. 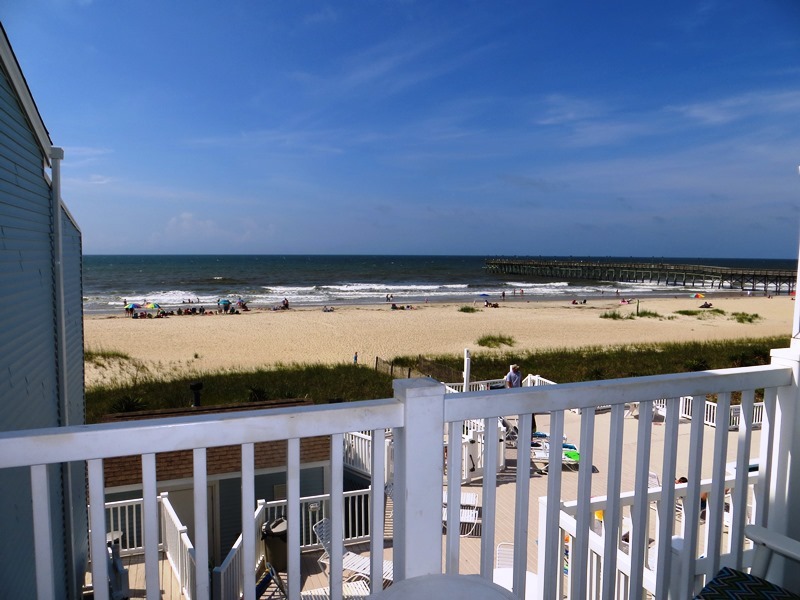 Beautiful 2nd floor, direct ocean front condo featuring a panoramic ocean view including the OIB pier. This condo is a perfect backdrop for a memorable beach vacation. Take in a cool ocean breeze from your rocker on the private balcony or cool off in the shared ocean front pool. There is also a hot tub on the pool deck and a jacuzzi tub in the master bedroom. This location is perfect to enjoy the island's attractions: miniature golf, Museum of Coastal Carolina, ice cream, arcade, municipal playground, shopping, fishing, water sports, and restaurants. Amenities include: fully equipped and updated kitchen, new LR furniture in 2016, dishwasher, washer/dryer, shared grill. 3 flat screen CCTVs, 3 DVD players, central heat & air. Phone. Wireless internet. Non-Smoking and no pets allowed. This home has all the bed and bath linens provided with beds made upon your arrival! This property has keyless entry for guest convenience! Sleeps 6. Bedding: King in loft, Queen in master. Bunk Bed nook off hallway.